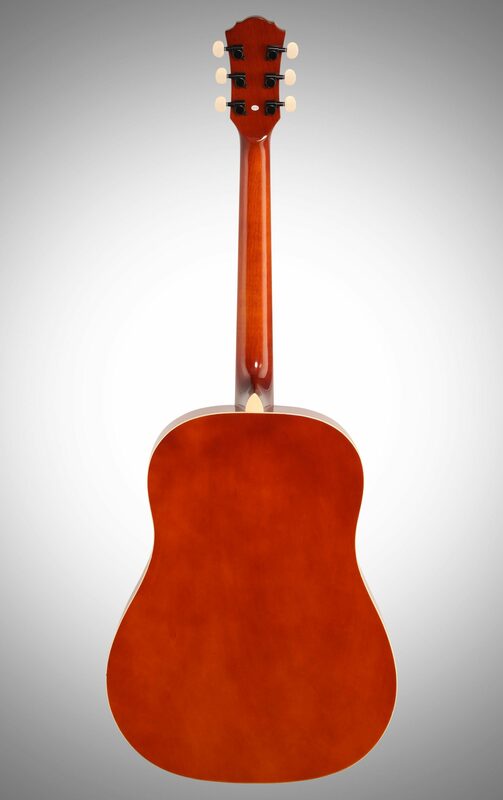 All Arcadia Acoustic Guitar Packs come with a clip-on digital tuner for fast and easy string tuning, gig bag, strap, picks, an extra set of strings, chord chart, and guitar guide with tuning and adjustment instructions. 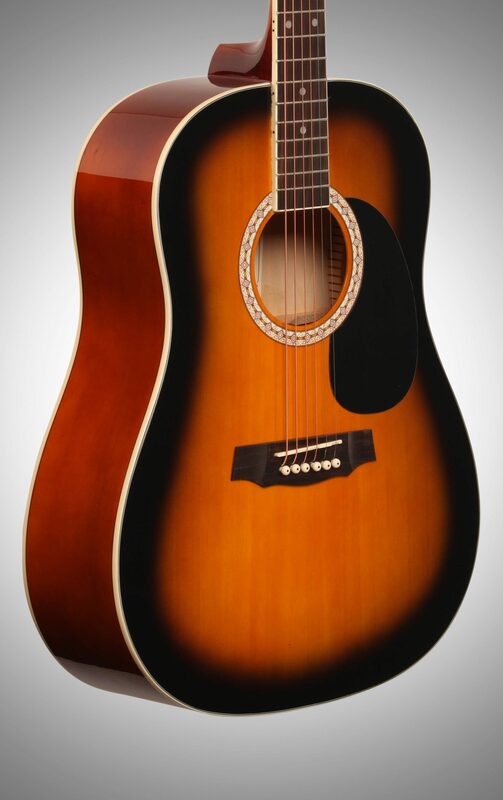 Arcadia Acoustic Guitars are covered by a Limited Lifetime guarantee and will provide years of playing enjoyment. 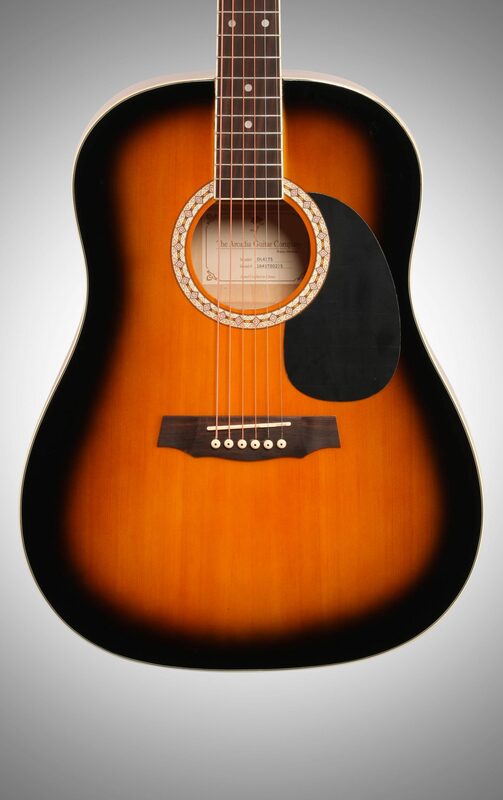 Arcadia Acoustic Guitars are designed and built to be the best playing, best sounding acoustic guitars for the entry and intermediate level guitar player. 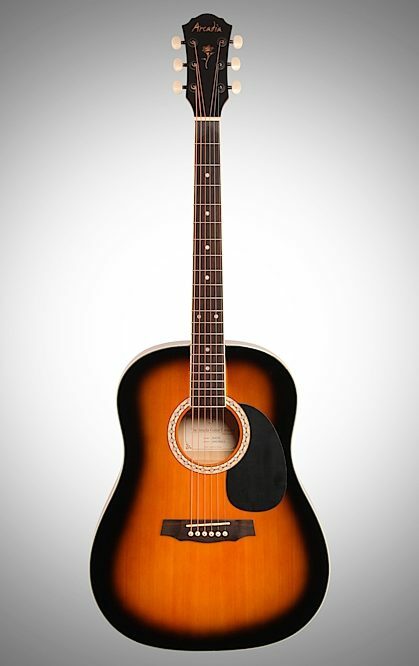 Arcadia DL Series acoustics feature finely grained select spruce tops for balanced tone and projection, superior internal bracing for stability and resonance, easy-to-play meranti mahogany necks with rosewood fretboards, deluxe black-back die-cast tuners for slip-free, accurate tuning, and double action truss rods for accurate neck and playing height adjustment. 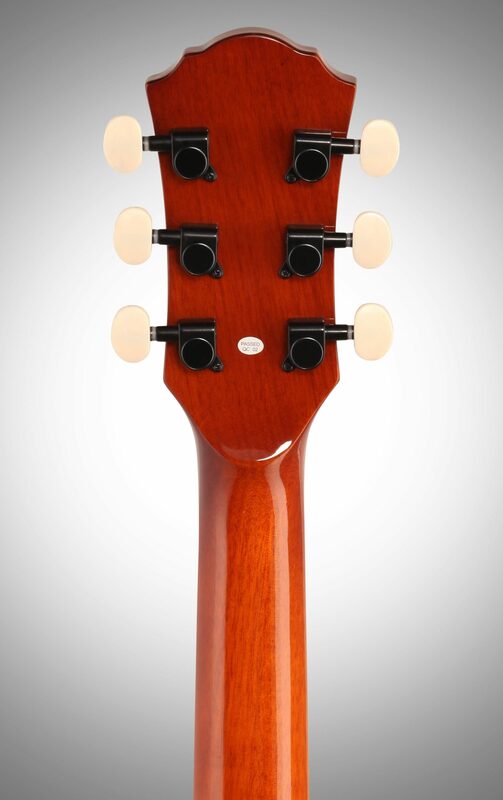 A comfortable neck and easy playing action is very important for beginning players so these acoustics feature very comfortable, hand sanded Meranti mahogany necks, rosewood fretboards, and professional style double action truss rods for precise neck adjustment and stability. 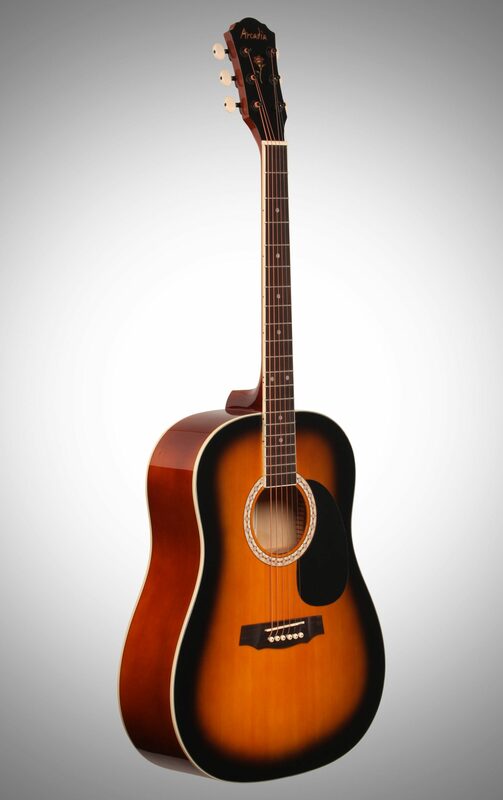 Arcadia DL Series Acoustic guitars are available in two sizes measured from the top of the headstock to the bottom of the guitar. 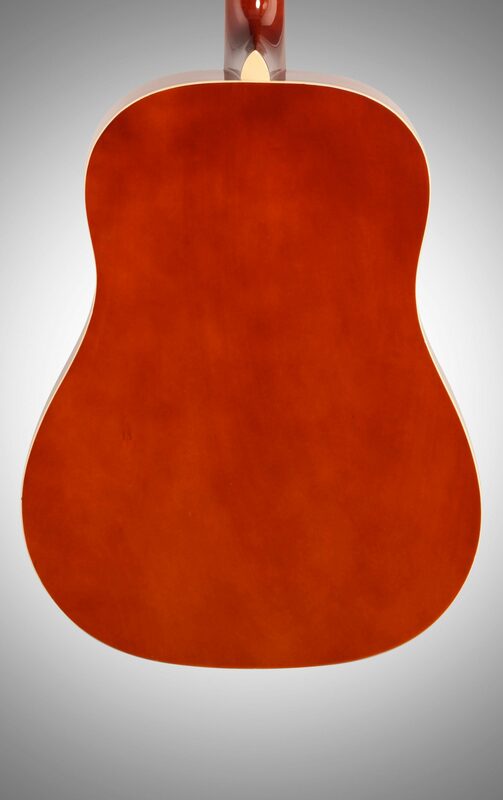 It is important to pick the right size guitar for the player, so the fretting hand can easily play notes on the first fret. Generally, players 11 years old or older and/or five feet tall or taller can play a 4/4 or full-size guitar. 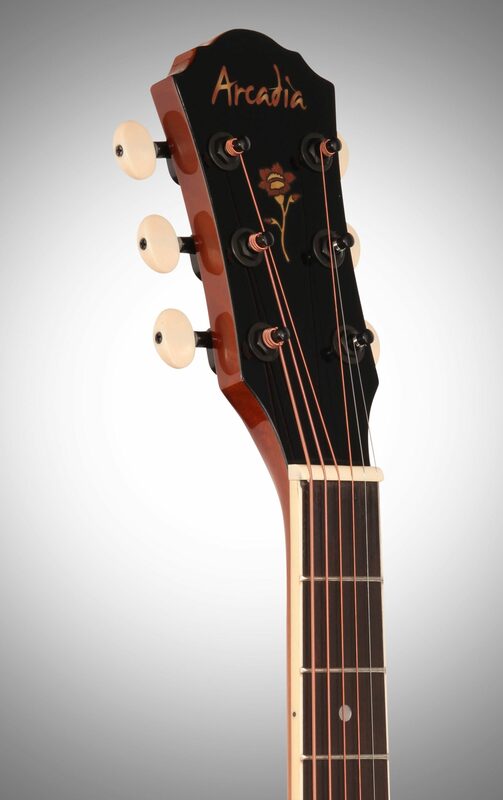 Arcadia DL41 Series guitars are 41 inches long with a 25.5 inch scale length (measured from the bridge to the nut) and are considered 4/4 or full size acoustic guitars. zZounds is an authorized dealer of Arcadia products. Overall: I think it was a great value for the money. My Pro's was for a cheaper guitar it had features of the more expensive guitars such as trim,& bolt on tuner heads and all the extra accessories. Con's the sound I would say is half that of the more expensive guitars of course because you are not getting real wood for the top back and sides.